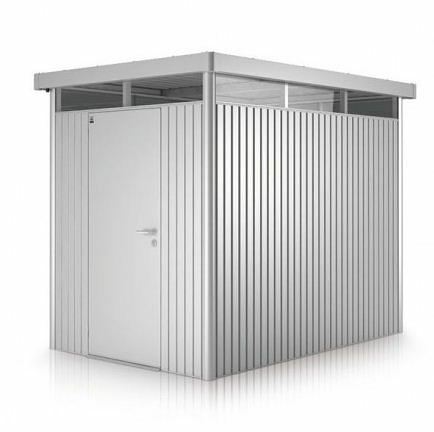 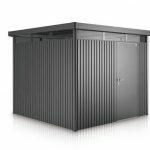 This durable shed, is crafted from 0.5 mm steel, which has been hot-dipped. 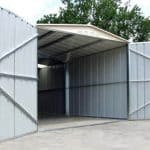 This means that you have a high quality building that is literally built to last. 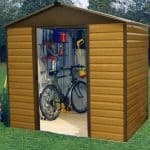 The shed comes complete with a 20-year ‘no rust perforation’ guarantee that will ensure your building lasts a lifetime. 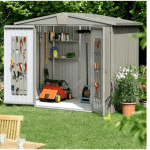 Ventilation slots ensure that there is adequate airflow, enough to ensure that the contents of the shed are kept clean and dry. 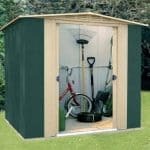 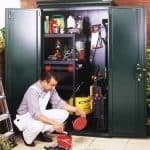 On the practical side of things, a shelf and support set inside the shed ensures that there is plenty of storage space built-in.